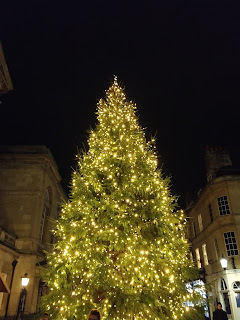 I was back in Bath for the second round of Christmas markets tonight, although they were all closing, so not much market-ing was done. However, I did get a couple of pictures, unlike last week. 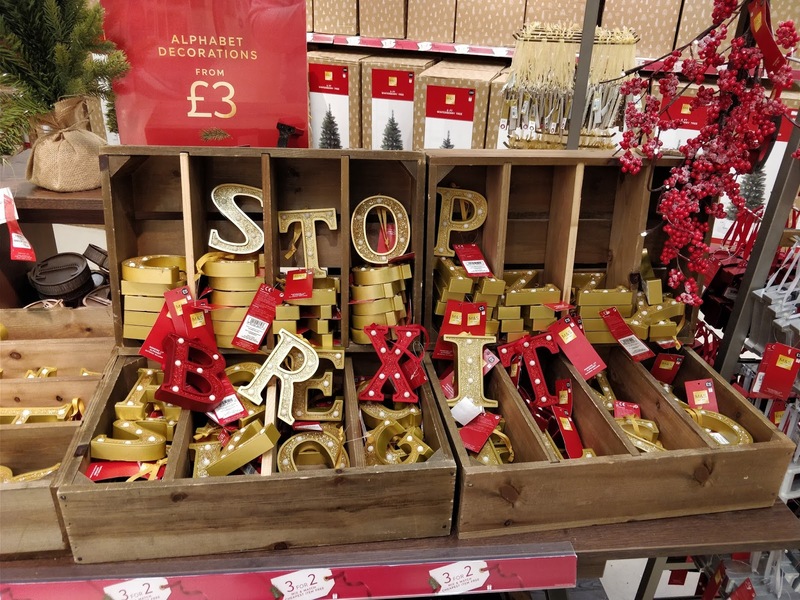 A political message in the local M&S. 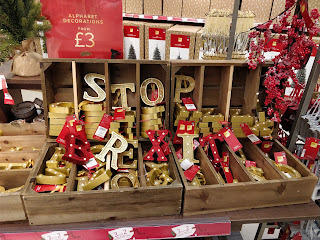 I am feeling very festive and wishing to be more Christmassy this week. I am excited about the carol services, getting the decorations out, doing some shopping and seeing lots of people. Also about getting dressed up and going out to drink festively. This isn't really wishful thinking because it is all on the way, and I don't particularly want to speed it up because it is such a fun time of year. I think I've been missing this for a couple of years because of being so flipping busy with a million non-work work projects, so hopefully this year I can take my time and enjoy it.